The Ultimate Pet Lodge requires that every visitor to this website agree to the following terms and conditions. If you don’t agree, you should not utilize this site. By accessing the site you indicate your acknowledgment and acceptance of these terms and conditions. Restrictions on Use; The text, images, graphics , audio, video and/or their arrangement on The Ultimate Pet Lodge website are all subject to intellectual property right protection and such material from www.theultimatepetlodge.com. Neither title nor intellectual property rights are transferred to you by access to this website, yet remains with The Ultimate Pet Lodge , who owns full and complete title to the material in this site. No Warranties or Representations THE INFORMATION CONTAINED IN THIS SITE IS PROVIDED ‘AS IS’ AND WITHOUT WARRANTY OF ANY KIND, EXPRESSED OR IMPLIED, INCLUDING, BUT NOT LIMITED TO, ALL WARRANTIES OF MERCHANTABILITY AND FITNESS FOR A PARTICULAR PURPOSE. The Ultimate Pet Lodge DOES NOT WARRANT THAT THE FUNCTIONS CONTAINED IN THE MATERIAL WILL BE UNINTERRUPTED OR ERROR FREE, THAT DEFECTS WILL BE CORRECTED, OR THAT THIS SITE OR THE SERVER THAT MAKES IT AVAILABLE ARE FREE OF VIRUSES OR OTHER HARMFUL COMPONENTS. The Ultimate Pet Lodge DOES NOT WARRANT OR MAKE ANY REPRESENTATIONS REGARDING THE USE OF OR THE RESULT OF THE USE OF THE MATERIAL IN THIS SITE IN TERMS OF THEIR CORRECTNESS, ACCURACY, RELIABILITY, OR OTHERWISE. YOU (AND NO The Ultimate Pet Lodge) ASSUME THE ENTIRE COST OF ALL NECESSARY SERVICING, REPAIR OR CORRECTION. ACCORDINGLY, BY USING THIS INFORMATION YOU AGREE THAT The Ultimate Pet Lodge (INCLUDING ITS AGENTS, OFFICERS, DIRECTORS AND EMPLOYEES) ARE NOT LIABLE FOR DAMAGES OF ANY KIND. Miscellaneous: These terms and conditions will be governed and interpreted pursuant to the laws of the State of South Carolina, inside the United States of America, notwithstanding any principles of conflict of laws. This is the entire agreement between the parties relating to the use of this site. The Ultimate Pet Lodge can revise these terms and conditions at any time by updating this posting. This website may be linked to other sites, which are not maintained by The Ultimate Pet Lodge and is not responsible for the content of those sites. All other trademarks are the property of their respective trademark owners. The Ultimate Pet Lodge all Rights reserved. PRIVACY STATEMENT: This document describes The Ultimate Pet Lodge policy regarding information received about you during visits to our web site. The information received by The Ultimate Pet Lodge is dictated by the amount and type of information received during your visit. 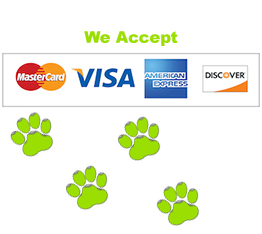 The Ultimate Pet Lodge respects the privacy concerns of the visitors to its site and accordingly, no personal information is automatically obtained by visiting the site. However, The Ultimate Pet Lodge may obtain certain non-personal information from its on-line visitors. Such information includes, but is not limited to, the total number of visitors to the site in the aggregate and the name of Internet server. There may be occasions when The Ultimate Pet Lodge obtains personally identifiable information to provide the visitor with correspondence or otherwise. However, The Ultimate Pet Lodge only gathers personally identifiable information, such as names, addresses, e-mail addresses, etc., when a visitor voluntarily submits the same. Such personally identifiable information, which may be gathered in connection with The Ultimate Pet Lodge on-line visitors, is used solely by THe Ultimate Pet Lodge and is not sold, transferred or otherwise disseminated to third parties outside the physical location of The Ultimate Pet Lodge. The Ultimate Pet Lodge strongly encourages all parents to supervise their children’s on-line activities and regularly monitor their children’s use of the Internet. Parents may want to consider using parental control tools and other related types of services to help them to supervise their children’s on-line use or on- line disclosure of their name, address or other personal information without parental consent. The number of links you click within our site and pages visited. When you contact us through the website, enter a form, or purchase gift cards, we collect credit card info, name, address, date of birth, phone #, email among other info to process payment and contact you. If you have any questions regarding your personal information or you’d like to correct or change any of your personal information, please contact www.theultimatepetlodge.com/contact.html.